Reggie: I have been sober for three years. Mark: Yeah right, that's what all the drunks say, how they're gonna get sober and all. They even say they love you but they don't. And then they come home wasted and beat on you and your mother so bad that you gotta hit 'em in the face with a baseball bat! Reggie: You're talkin' about your daddy aren't you? Compelling, engrossing and well acted thriller. 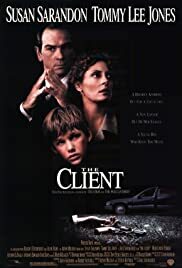 "The Client" is an enjoyable and well executed thriller overall. While the directing, script and overall product are far from amazing and sometimes quite bland, the Oscar level performances compensate for the easily over-seeable flaws. Perhaps the child of the title, Brad Renfro, can be annoying in parts he gives a decent enough performance nonetheless. Too bad about the drinks and drugs problem he has today. 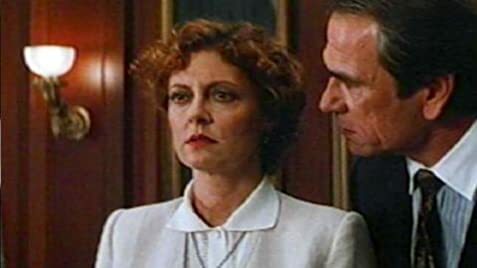 Susan Sarandon gives another terrific performance, this time as an alcoholic lawyer. Tommy Lee Jones' character doesn't have much to do with the plot but he's a welcome addition to the film, even though. While it is easy to find fault with the film it's easier to just sit back and enjoy it. I chose the latter so I thought it was a good, if not spectacular movie overall. 6.8/10.